basic aspects of statistical analysis and visualization. This book is extremely hands-on and leads the reader through dozens of small applications as well as larger case studies. Along with an array of exercise boxes and separate answer keys, the text features a didactic sequential approach in case studies by way of subsections that zoom in to every programming problem. The companion website to the book contains all relevant R code (amounting to approximately 7,000 lines of heavily commented code), most of the data sets as well as pointers to others, and a dedicated Google newsgroup. 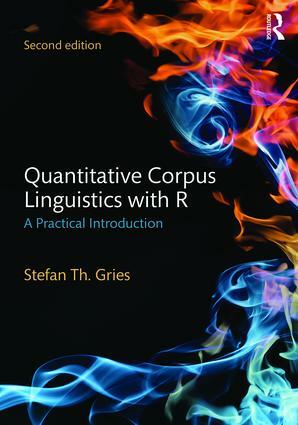 This new edition is ideal for both researchers in corpus linguistics and instructors who want to promote hands-on approaches to data in corpus linguistics courses. Stefan Th. Gries is Professor of Linguistics at University of California, Santa Barbara, USA.